We have seen a growing number of theft occurrences in youth sports organizations by trusted directors, officers, and other volunteers. Such theft can take the form of embezzlement or the taking of equipment. Media accounts of such activity are backed up by the recent claims paid out by our insurance carriers. The primary reasons for volunteer theft are dire financial circumstances often attributed to personal financial problems and gambling addictions. Youth sports organizations present the perfect opportunity for theft because most aren’t run as a true business and limited or inadequate controls are put in place. These organizations are often run by a small group of volunteers who have build up a great deal of trust among one another. Require a countersignature on all checks or checks over a certain amount. If you allow the use of credit or debit cards, make sure that the monthly statements are reviewed by someone who is not authorized to use the card. Collect checks instead of cash during fundraisers. Keep detailed inventory records of all equipment and require a log to be kept when equipment is assigned or checked out. Create an audit committee to review all financial records, account statements, and conduct an inventory of all equipment. In addition to these safeguards, all sports organizations should carry a Crime Insurance policy that covers employee dishonesty, forgery and alteration, and theft of money and securities. Such a policy should be specially endorsed to cover theft by employees and officers. Almost every youth sports organization has a paid employee or volunteer who is responsible for managing the organization’s website, accounting system, databases, registration system, game and tournament schedules, employee and volunteer work schedules and maybe even social media accounts. Incoming and current technical managers can benefit from the tips below on efficiency and security offered below. Take stock of the technology you have. The first step in maintaining safe and functional technology is knowing exactly what you have. Set up a spreadsheet of all your software and hardware systems. Record the product names and versions, where each was purchased and contract end dates. You’ll have all the information you need in one place – preferably where others in the organization can access it if necessary. Talk to your predecessor. If you’re the incoming tech manager, make sure to have a conversation with the outgoing manager and pick his/her brains about any past or present problems, potential upgrades, and any glitches in the operation. It’s critical that you obtain all the login information for your systems, programs and websites. It’s just as important to know who else has access to this information and to change passwords that former administrators, staff or volunteers may have. This includes revoking administrator privileges to the outgoing director. Where is everything?It’s important to learn where all the organization’s data is stored – both electronic and paper. If possible, scan paper files into PDF format for online storage. The organization’s data should not be stored on anyone’s personal computer. If multiple users need access, consider using Google Drive, Microsoft OneDrive, DropBox or another cloud service. They’re more secure, accessible from anywhere, and free! You are your website. Maybe your responsibilities include maintaining the association’s website and managing its social media accounts.Your website is the face of your organization. Review it with a keen eye and see what needs updated and delete anything not related to the current or next year. Make sure it’s mobile responsive, which means the layout and images can be viewed correctly on a tablet or smart phone. Make sure your site is secure, with at least 256-bit encryption. Think twice about letting a player’s parent offer to build and host a website and link it to your social media as an act of goodwill or a money-saving effort. All too frequently these helpful people become less eager or simply disappear as they change jobs, their kids age out of the program, move, or simply become too busy. Depending on such a person to get your website up and continuing to run smoothly can be disastrous. Better to rely on a company that provides technical and customer service when you need it. Get feedback. Who, other than parents, coaches and board members, would know what’s working and what isn’t? No one! Take the time to ask them if they’re experiencing problems registering players, making payments, etc. Ask if they have suggestions for improvement. Consider emailing a survey asking for feedback. You may not be able to implement all the suggestions, but being a good listener, taking their complaints seriously, and attending to issues quickly calms frustrations and builds trust. As the tech director, you’ll be one of the most sought after people in your association. Therefore, document everything you do in a spreadsheet, from dates of technical repairs to conversations with vendors. You’ll be glad you did when someone raises questions and you have the answers at your fingertips. 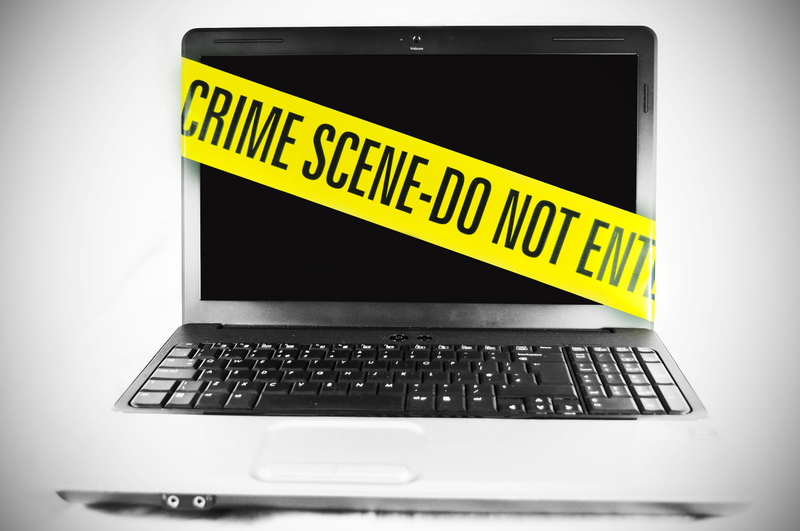 Liability Concerns from websites and social media. And finally, you must protect yourself from your liabilities arising from breach of confidential information due to a hacker attack, invasion of privacy, and a libelous posts on your website or social media. These risks are not adequately covered by most General Liability policies due to various exclusions. Many Directors & Officers Liability policies are now offering coverage extensions with sub limits of coverage to address these risks. Or, a stand-alone Cyber Risk policy may be purchased for associations with heavy exposure. Contact Sadler Sports & Recreation insurance for more information on these policies. Source: Paul Langhorst. 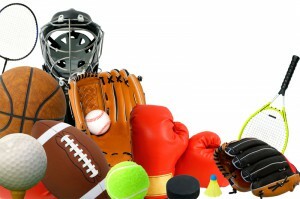 “8 Tips for the New Sports Association Technology Director.” www.engagesports.com. 29 Oct., 2015. Vice Sports recently published a story on embezzlement and fraud schemes and apparently lax financial management system in Little League across the country. In “Little Big Crime,” Vice Sports reports volunteer staff embezzled or stole close to $2 million from within 37 Little Leagues in 2009, with 19 of those cases taking place in the last two years. Every parent, coach, administrator and officer of a youth sports organization should read the article. The point of the story isn’t to paint Little League as a corrupt youth sport organization. The fact of the matter is that embezzlement in volunteer-run organizations and the high dollar amount of funds that go missing aren’t uncommon. It could easily be happening in your organization right under your nose. We’ve been posting articles on fraud and embezzlement within youth sports for quite some time and offering tips on how to prevent such crimes. If I’ve heard one, I’ve heard a hundred administrators of sports organizations say it could never happen to them. Well, the first few paragraphs of the Vice Sports article illustrates just how shockingly vulnerable every organization is. Over a six year period a trusted and well-respected man serving as a trusted Little League vice president for over 15 years stole more than $200,000 before the crime was discovered. After accounting for the interest payments on unnecessary loans he took out in the league’s name, the ultimate cost to the league was in the range of $270,000. Needless to say, without a Crime Insurance policy, there’s little hope of ever recovering that money. Crime Insurance protects organizations from employee dishonesty, forgery and alteration, and theft of money and securities. Such a policy should be specially endorsed to cover theft by employees and officers. It can’t be stressed strongly enough how important it is to put safeguards in place to prevent theft of registrations fees, concession profits, fund raising money and abuse of credit cards and bank accounts. If you or someone other than the person handling the finances of your organization hasn’t checked the books and bank statements lately, do it today. And if your organization doesn’t have a Crime Insurance policy, call us today to discuss your needs and get a quote at 800- 622-7370. Source: Aaron Gordon, “Little Big Crime:The Multimillion Dollar Little League Fraud Crisis,” sportsvice.com. 06 Oct. 2014. Some administrators who make the insurance purchasing decisions for sports organizations are confused over the difference between Crime Insurance and Equipment Insurance. They mistakenly believe that theft of equipment by outsiders or vandalism of equipment is a crime covered by a Crime Policy. This is not correct. Equipment Insurance = Loss of sports equipment due to fire, wind, vandalism, theft, etc. 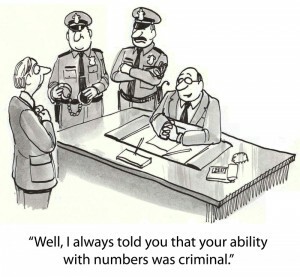 Crime Insurance = Employee/Volunteer theft of equipment or embezzlement of funds. Of course, the above explanation is an over simplification, but it is an easy way to understand the main differences between the two policies. Sports and recreation organizations can have significant assets at risk from the traditional employee or volunteer embezzlement and the modern perils of electronic fraud. Most sports organizations are not properly insured for these exposures and don’t have adequate risk management controls in place. Employee Dishonesty Provides coverage for employee theft of money, securities, or other property such as equipment. Employees are defined as regular employees, temporary workers, leased workers, trustees of employee benefit plans, interns, managers, directors, or trustees. If applicable, it is critical that sports and recreation organizations request special endorsements to extend coverage to theft from volunteers, non-compensated officers and members of specified committees, specified directors and trustees on committees, partners, LLC members, computer software contractors, agents, brokers, or independent contractors. It is also important to purchase Employee Dishonesty coverage on a blanket basis that protects against theft from all employees or others in a designated class as opposed to specified employees or others who must be individually named on the policy. Sports and recreation organizations experience a high rate of personnel turnover. It’s not uncommon for an organization to fail to update the list of specified employees. Forgery and Alternation Provides coverage for forgery or alteration of a check, draft, or promissory note drawn against the insured’s accounts. Money and Securities Provides coverage for theft, disappearance, or destruction of money and securities from either inside the premises/banking premises or outside the premises. Coverage may also be extended to robbery or safe burglary of other property. Computer Fraud Provides coverage for financial loss due hacker access effecting a fraudulent transaction. An example of computer fraud occurs when company A sells services to company B. An employee of company B hacks into the computer of company A and changes the bank routing and account numbers. The next time a payment is made fo r services, the funds are fraudulently transferred to the employee instead of company A. According to a 2008 survey by Computer Security Institute, the average financial loss due to computer fraud was $289,000. Electronic Funds Transfer Fraud Provides coverage for financial loss due to a hacker access to a financial institution, accessing an online account, and circumventing normal online authentication controls to affect a fraudulent wire transfer. An example of this type of fraud occurs when a hacker gains bank account and password information by planting a Trojan virus in an email attachment sent to a company bookkeeper. When the attachment is opened, a keyword logger is launched that secretly obtains account and password information. The hacker accesses the online banking system and completes a fraudulent electronic wire transfer. According to a 2008 survey by Computer Security Institute, the average financial loss due to funds transfer fraud was $500,000. Money Orders and Counterfeiting Provides coverage due to loss by good faith acceptance of money orders that are not honored or counterfeit money. Require a countersignature on all checks or on checks over a certain amount. The person who reconciles the bank account should not be authorized to deposit or withdraw funds. If credit cards or debit cards are used, authorized users should not be tasked with reviewing the monthly statements. Keep detailed inventory records of all equipment and require a log to be maintained when equipment is assigned or checked out. Create an audit committee to review all financial records, account statements, and to take an inventory of all equipment. Pfishing scams, Trojans, key loggers, and similar techniques allow hackers to gain access to online banking transactions and to circumvent standard online authentication controls. Internal controls such as antivirus software, firewalls, and employee training are critical but don’t offer 100 percent protection. Computer Fraud and Electronic Funds Transfer Fraud coverages are strongly recommended. Contact Sadler Sports & Recreation Insurance at 800-622-7370 for a Crime Insurance quote. We have an existing Crime Insurance program available for smaller, locally-based organizations for as little as $175, which includes coverage for Employee Dishonesty, Forgery and Alteration, and Theft of Money and Securities. Larger sanctioning and governing bodies will be asked to complete an application that outlines your financial risk management practices and we will be able to provide a proposal within several days in most cases. How can a youth sports league protect itself from embezzlement and theft by volunteers? These crime rates are growing quicker than people may notice or care to see, and it’s no longer just a corporate problem. In a tough economy many people are losing their homes and vehicles, and desperate to find a means to pay for the lifestyle to which they’ve become accustomed. Unfortunately, all too often their solution isn’t just an innocent rearranging of funds, but a matter of stealing from children. Although we have stressed the importance of risk management in local leagues for years, even national organizations such as the National Alliance for Youth Sports have begun an awareness campaign about swindling of funds in their publication, Sporting Kid Magazine. Unfortunately, we can’t dictate people’s actions or decisions. We’ve seen too many cases of individuals who went to great lengths to appropriate funds and no one, not even the treasurer, saw what was was going on until it was too late. Don’t let it happen to your organization. Call us at (800) 622-7370 so we can help you put the safeguards you need in place today. One of our clients wrote a fantastic article on how to prevent insider theft in youth sports organizations. Unfortunately, this insight was gained from his first-hand experience and he now wishes that he had purchased crime insurance to go along with his Accident and General Liability coverages. To protect against the 10% who will steal no matter what, all sports organizations need Crime Insurance. We offer a $25,000 Sports Crime Insurance policy for $175 a year. The article Crime Insurance Steps Up to Plate for Little Leagues as Thefts Rise details recent theft and embezzlement cases in Little League Baseball, Inc. Sadler Sports Insurance clients have experienced a similar uptick in Crime Insurance claims over the past several years. In the past, we blogged about risk management controls to reduce the possibility of crime claims but there is no substitute for Crime Insurance, which provides important protection at a very reasonable cost. For most sports organizations, a $25,000 limit if offered at a premium of $175. A North Texas soccer league is reeling after news broke regarding inside theft of club funds. Parents of the Solar Soccer Club players are alleging that the trusted former club president stole hundreds of thousands of dollars, leaving them in the lurch financially. David Ringer is accused of siphoning more than $800,000 from them over the last five years, and was apparently the last man many of them would suspect. A sports organization must implement procedures to protect against volunteer theft such as counter signatures on checks, bank statement reconciliation by someone not authorized to deposit or withdraw, and an annual financial audit by the board. For more information on reducing the risk of volunteer theft, see our article Crime Insurance for Sports & Recreation Organizations. Below is yet another example of volunteer theft in youth sports. Source: Brett Shipp, WFAA, April 9, 2011.